Talaga is a finest boutique day spa that was launched with an attractive package combining the best location, products and therapy. As a boutique spa, Talaga offers luxury that can be accessed by everyone. Its strategic location in the middle of tourist and entertainment industry of Kuta and its exotic and comforting interior– a blend of Javanese and Balinese atmosphere with a touch of Western design, will make guests feel at home. As a day spa, our guests dont have to stay overnight at the location. Therefore, those who are normally very busy, now can feel free to enjoy the services based on the length of time they have. The management and all staff of Talaga are professionals who are well trained in this line of business. 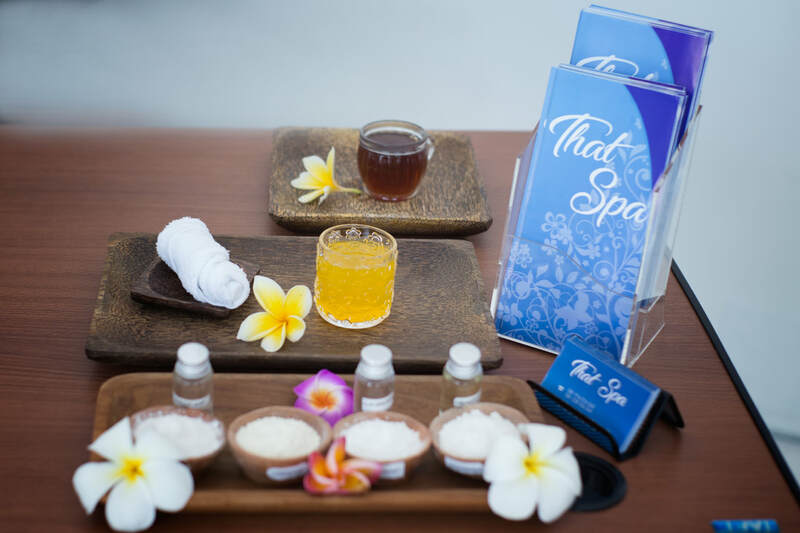 The massage specialists, each received more than 600 hours of intensive training on spa, have acquired solid skills in massage therapy to re-energize fatigued guests after long working hours and travel. Talaga offers customized products and services specially designed by experts in spa industry, including: Innovative Dry Spa therapy that will ensure that guests get fresh spa treatment without having to submerge themselves in bath filled with mixture of herbal and flowers or without having to soak themselves with a shower. The Virgin Coconut Oil (VCO) Therapy is unique to Talaga Spa. The VCO, Naturally developed through special process, is good to rejuvenate the stamina. Moreover, it is essential in enhancing beauty, such as to smoothen hair and skin, as well as to slow down aging process. In addition to the above, Sacred V- Spa offers a package specially designed for ladies wanting private and personal consultation and treatment relating to women’s heath and beauty. Talaga is an alternative spa center offering five star services in a very strategic location. With professional management, Talaga incorporates the East and West concept. And, as the symbol indicates: our philosophy is like a sacred spring from the lake. We are committed to provide healing and purifying treatment. 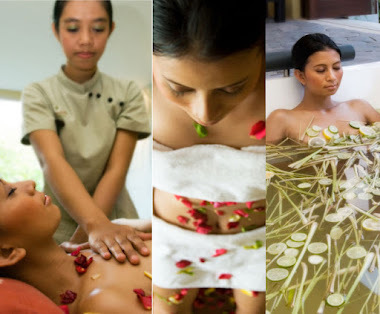 Having the luxury of Talaga’s treatment, you will can have refreshing, rejuvenating and re-energizing therapies, with every senses of yours reborn. 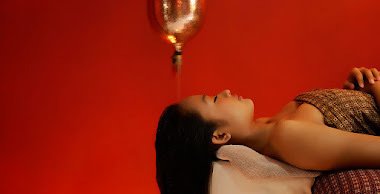 Press Release Amidst the spa industry that is getting more and more competitive, TALAGA SPA penetrates the establishments with such a surprise. But, what is it that distinguishes TALAGA from the other spas? TALAGA adopts simple philosophy. It simply means a lake or an oasis from where sacred water, which has healing and purifying power, flows. Offering cleansing, creating and protecting treatments, TALAGA provides physical remedies and spiritual refinement to help our customers find new spirit of life. TALAGAs tagline is More than just about a coconut, its a miracle experience. As widely known through out ancient tradition coconuts became an inseparable part of the life of Javanese and Balinese. More than just a source of food, coconuts were also used as source of healing for all sources of sickness and diseases. From having the benefits offered by coconuts, it is no wonder our forefathers called these fruits the miracle fruits. Coconuts tree are often called as Tree of Life. Almost all aspect of life of the traditional Balinese and Javanese are related to coconuts. From protection for homes, food, to remedies and healing for all ages, social strata coconuts give us tremendous benefits. Coconuts have been the central substance for life. In its journey, a coconut can be washed offshore, then afloat, wondering around in the ocean, before it ends up stranded on an island. A new beginning, it grows alone, standing up straight. It too symbolizes a cycle of human growth a reflection of devotion to The All Mighty. The Balinese believe that our body represents our culture and life. Uniquely, a coconut tree also symbolizes our body which is divided into three parts: the upper (representing the deity), the middle (representing the human) and the lower (representing the unseen world). The coconut oil is believed to posses some power that can heal conditions related to all body parts, from head to toe, from physical to the non-medical. Every part of the coconut gives tremendous benefits to the life of Balinese. Coconuts the most important element in TALAGAs Treatment, not only due to their magical benefits, but also because it becomes a medium that can give real impacts. It is for all the benefits that coconuts can give to our health, beauty and life that TALAGA adopts coconuts as our icon. The coconuts, apart from being natural and healthy for spa therapies, do not give negative side affects to our body. Therefore, we proudly use coconuts as the base of all of our products. Ancient Healing, Modern Extravagance. Our treatment and services are based on coconut products. As it has been practiced for thousands of years through out Asia and the Pacific, coconuts play lifetime important roles in the life of Balinese. From six months prior to the birth of a child, pregnant mothers would consume natural coconut water to help her labour. Then, there are a lot of religious ceremonies through one’s life that require the use of coconuts. Nowadays, realizing the marvel of coconuts, TALAGA uses coconut products in all its treatments. Processed naturally using modern technology, the oil obtained from coconuts will give you the healing benefits as it has to people of the past. Indeed, in TALAGA we blend ancient healing and modern extravagance. Therapists: “Spas can be everywhere, but the best spa comes from the best therapists”. Come and Experience the self healing therapy only from TALAGA magical hands. At Talaga we only employ professional and well-trained special therapists. Each therapist has undergone intensive 600 hours of trainings. As they were brought up in the tradition and culture full of spiritual activities and energy, they also posses natural talent for energy rejuvenation therapy. Since childhood their soft and yet firm and skilful fingers are used to making the Balinese offering – canang, praying or performing special dances at certain ritual religious ceremony. As a result, they become in full control of their own energy and are skilled in resonating positive energy to the clients. With professional work ethic, sincere and well-liked attitudes, as well as trainings in meditation, chakra and aura therapies, our proud therapists will do their best to serve clients of different nationalities. Combining the ancient and traditional wisdom of the East and the modern methodology of the West TALAGA’s therapists are awaiting you. When it comes to therapist, trust nobody but the best – trust TALAGA. TALAGA’s signature: Balinese ”urut’ Massage is a type of massage which comprises of a mixture of Deep Tissue Massage, Myofascial Release, Trigger point and Therapeutic Touch. As the name suggests, the deep tissue massage works at the deep tissue level, whereas the Myofascial Release settles problems with connective tissue. The Trigger Point releases points of pains that cause local and referred pains. This mixture enhances tissue repair, improves body postures and movements, breaks tissue adhesion and reduces anxiety. Therapeutic touch comprises of chakra and aura healings which requires the transfer of balanced energy from our therapists to the clients. This transfer of energy allows the client’s energy to resonate and stimulate self healing which promotes sense of wellbeing. Sirodhara: Balinese ”Third Eye” Therapy The Balinese and Javanese believe that the head is the closest to the sky, and therefore it is considered to be the closest to God. It is where wisdom and knowledge rest. A mixture of coconut water and aromatherapy is slowly poured on to “the third eye” (middle part between the eyes) to allow it to open and clear the blocked energy on the sixth Chakra, making it easier for them to focus, sharpen their intuition and to be more open mind. This therapy also stimulates lymphatic system on the head and enhances the brain activity and nervous system, besides getting rid of headache, insomnia, insecurity, fear and nervous strain. Pick Up Free : 2Free transportation in Kuta Legian, Seminyak, Sanur, NusaDua and Jimbaran areas including the airport, is available by booking over $25 treatments/ person booking with more than 2 people. * The 10 single rooms out of 11 rooms are connected, so it is available as a twin room. * Triple room is not available. They use a single room and a twin room for a group of 3 guests.